According to OSHA, approximately 350 electrical-related deaths occur on the job every year. How can workers stay safe? To start, they need to understand the specific ways they can be injured or killed by electricity. Here are common causes of electrical injuries and deaths, as listed by OSHA. Used often on construction sites, most generators are powered by gasoline or diesel, which turn an alternator to produce electricity. These devices can be extremely dangerous if not used properly because they produce carbon monoxide – a colorless and odorless gas that can cause headaches, loss of consciousness and even death if inhaled. Never operate generators indoors. “Generators should be placed outdoors in a location where the exhaust gases cannot enter a home or building,” OSHA states, adding that good ventilation is key to operating a generator safely. Before refueling generators, workers should turn them off and let them cool down. Extension cords can cause on-the-job injuries if the cord is worn and its wires within become exposed. Extension cords that are not three-wire type, are not designed for hard use or have been modified are not as durable and can increase the risk of electrical shock, OSHA warns. To work safely with extension cords, only use equipment that has been approved by a nationally recognized testing laboratory, use cords equipped with strain relief devices and always unplug cords by pulling on the plug – not the cord. Electrical equipment can show wear, which can cause insulation breaks, short-circuits and exposed wires. Also, according to OSHA, if the equipment lacks ground-fault protection, it can cause a ground-fault that sends electrical currents through a worker’s body. 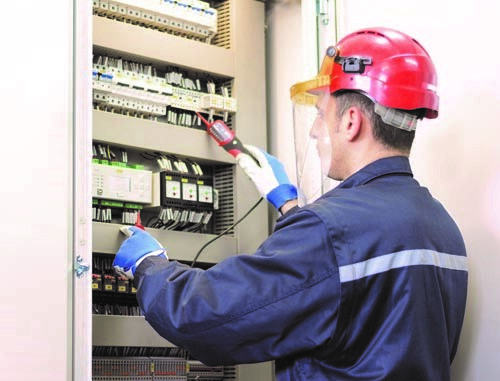 To reduce this risk, OSHA suggests using ground-fault circuit interrupters “on all 120-volt, single-phase, 15- and 20-ampere receptacles that are not on an existing building’s permanent wiring, or have an assured equipment grounding conductor program.” Additionally, use double-insulated electrical tools, and be sure to visually inspect all equipment before use. If a tool has missing prongs, frayed cords or cracked casings, remove it from use.